I know I haven’t been here much , and this time I won’t say any excuse – I just really don’t have time no more for my blog and its sad but true , with the crazy schedule and especially after opening my makeup academy – I barely get 5 minutes with my own self , so definitely no time to sit and type whats in my head in a blog post. However , today is a special day! Today is 2nd of January , 2018 – and I have just released one of the biggest campaigns in my career . 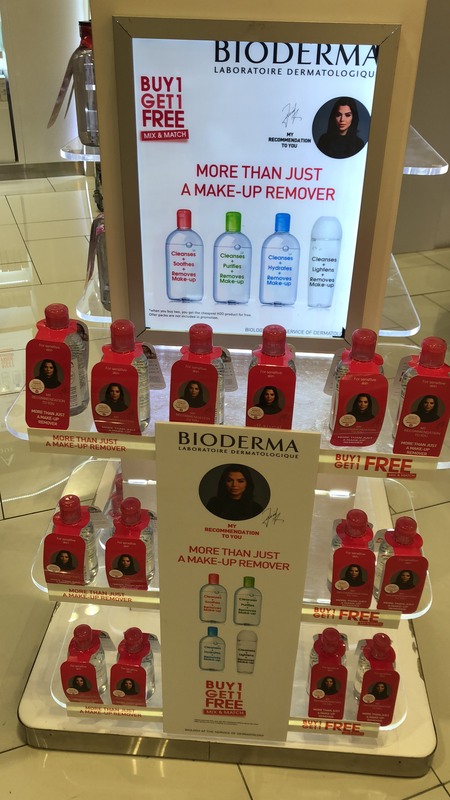 Bioderma is the brand that was introduced to me back in my teenage years by my mum , who’s seen my crocodile tears about my acne – and Bioderma was that brand that made me feel better. Now , if someone told me that years will pass and you my darling Eljammi will become the face of it – I’d definitely crack my signature loud laugh at that , cause like me ?why?how? NO! Now , I always say – life can take you to magical places and God is there to help you and guide you and the day when me and Bioderma had an agreement , I Believed in that even more and today I surely confirmed it and teared a bit. 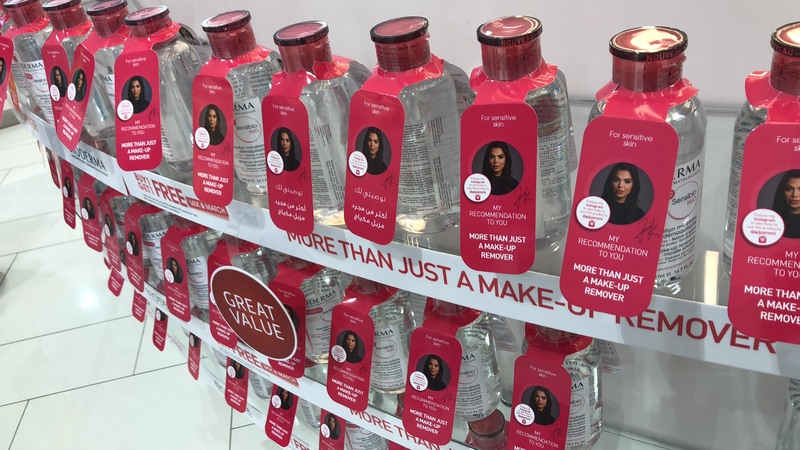 Walking into a pharmacy in the biggest mall in the world and seeing your face across every corner and on every bottle – felt strange! I literally had the weirdest reaction , I just stood there – trying to believe in what I see , I only broke down in tears once I sat in the car – but the tears were from joy and feeling blessed and grateful – for all those times that God put me in hard positions to learn something important and use that to become what I have become so far and to never give up! 2018 – you are great so far!! Now , there is so many thanks I want to say , but Im not at the Oscars – so I will just say one big thanks to BIODERMA and my followers for this , because without them THIS wouldn’t happen!